Founded in 2008, Pathway Genomics Corporation is a private medical diagnostics company designed to provide physicians and their patients with full control over their wellness and health. The company operates from San Diego, California, offering treatment support for a broad spectrum of health conditions. The company was launched by Jim Plante after his father died from an inherited polycystic kidney disease. His vision was to make personalized medicine and genetic testing accessible and affordable to everyone. We’ll see his degree of success right here in our Pathway Genomics review. This test is ranked #5 on our Best Health DNA Tests list. Placing an order – After visiting the Pathway Genomics website, you can order any of its tests online, following the comprehensive instructions provided. Sample collection – After the test kit arrives at your address, you should follow the guide and collect your DNA sample. The kit offers cheek swabs, so you won’t have to draw blood or undergo any painful collection method. The procedure, which is completely painless, shouldn’t last longer than a couple of minutes. Sending the sample back – After collecting the sample, you should send it back to the Pathway Genomics lab. The postage is prepaid, so there are no additional expenses to worry about. Sample analysis – Once it receives your sample, Pathway Genomics will process it and build your genetic profile. Inspecting the results – In about 6 weeks, your final report will be generated and you’ll be able to inspect the results online. As with any sample collection kit using cheek swabs, you should make sure not to contaminate your DNA sample by eating, drinking, smoking, brushing your teeth or chewing a bubble gum at least half an hour (preferably 2 hours) before swabbing for buccal cells. Also, make sure the end of the swab doesn’t get in contact with anything else apart from the inside your mouth. Pathway Genomics has a proprietary lab, which is accredited by CAP and CLIA. Its cutting-edge processing technology provides you and your physician with accurate and actionable information that can help maintain or improve your health and wellness. Fit iQ and PathwayFit (99$ and 299$, respectively) – We are bundling these tests since their only difference lies in the processing scopes. They’re basically the same test, but PathwayFit covers more information than Fit iQ. They are what we call “genetic exercise and nutrition profiles,” providing you with a personalized report with recommendations aimed at optimizing your health. Diet guidelines – Free personalized genetic dieting program comes only with PathwayFit. Skin iQ and SkinFit (99$ and 199$, respectively) – These two tests follow the same pattern as the previous bundle, with one offering a slightly wider scope than the other. They are designed to uncover the genetic prerequisites for the overall condition of your skin. Skin nutritional needs – Omega-3/6 deficiency, deficiency of vitamins A, B2, B6, B12, C, D, E, and folic acid deficiency. Gluten Fit (199$) – This test was designed to establish your level of gluten sensitivity and determine your genetic predispositions for developing celiac disease. Gluten sensitivity is very hard for physicians to diagnose since it can include a whole plethora of different symptoms. Mental Health DNA Insight (399$) – The test analyzes specific genetic variants within your DNA strain to uncover your response to more than 50 psychiatric medications. The results cover SSRI, SNRI, TCA, and other antidepressants, as well as ADHD medication (NE reuptake inhibitor), Benzodiazepines, mood stabilizers, typical/atypical antipsychotics, and other neurological medications. Pain Medication DNA Insight (399$) – The process is the same as with the previous test, but your DNA is analyzed for a response to analgesic effects. The results cover opioids, NSAIDs, and other pain-relief medications. Cardiac DNA Insight (399$) – This test provides information about the genetic risk of various heart-related conditions. The final report focuses on heart disease/Atrial Fibrillation, peripheral arterial disease/Venous Thrombosis, Hypertension, and cardiovascular health. Healthy Weight DNA Insight – This test uses a proprietary algorithm to analyze your overall health and wellness. It provides your physician with comprehensive reports on common health conditions, medication response, and nutrigenetic. You are tested to determine your eating behaviors, health conditions, medication and exercise response, weight and diet, metabolic health factors, and nutritional needs. Healthy Woman DNA Insight – The test results provide a unique genetic profile for female users. The information your physician will receive includes eating behaviors, health conditions, medication and exercise response, weight and diet, metabolic health factors, and nutritional needs. Carrier Status DNA Insight – This is a prenatal comprehensive preconception carrier screening test following the ACOG recommendations and testing for over 120 recessive genetic diseases. The results cover ACOG-recommended conditions, Ashkenazi Jewish conditions, and genetic maladies. BRCATrue – This next-gen DNA sequencing test is designed to identify mutations in BRCA1 and BRCA2 genes. These mutations significantly increase the risk for ovarian, breast, and other types of cancer. 80% of ovarian and breast patterns in families have been attributed to mutations in these two genes. COLOTrue – This is a 13-gene panel for hereditary colorectal cancer. The test can be ordered by individuals or entire families. Apart from full 13-gene sequencing, the test also includes an analysis of the MDM2-SNP309 allele. BreastTrue High-Risk Panel – This test inspects genes known to cause high susceptibility to breast cancer, including BRCA1/2, MLPA, CDH1, CHEK2, PALB2, PTEN, STK11, and TP53. Pathway Genomics is required by law to provide the optimal security level for your protected health information (PHI). This covers all the information regarding your past, present or future that can be used to positively identify you as an individual. The company collects data necessary to provide services, conduct healthcare operations, and obtain payment. Your PHI includes name, geographical and email address, telephone number, gender, date of birth, medical history, ethnicity, diagnosis, provider identification, treatment info, medical insurance account number, and credit card information. Note that all the sensitive information you share through Pathway Genomics’ live chat are stored in its database. The company ships within and outside of the US. Shipping for domestic orders is free, but we couldn’t find any info regarding international shipments. Apart from this, there is no additional information to be found on their site. Pathway Genomics is definitely a good mix of different health and wellness DNA tests, providing accurate results for both you and your physician. You can basically look at this company as an additional health clinic in service of your optimal well-being, as this Pathway Genomics review has proved. It has its own lab, features renowned experts in their fields, provides comprehensive and error-free results, and has testing options to fit any needs. Our ratings are the result of an objective and independent evaluation of Pathway Genomics, generating the final rating that reflects the overall quality of the company. Ratings may change as the service changes. Pathway Genomics user rating based on 5 user reviews. 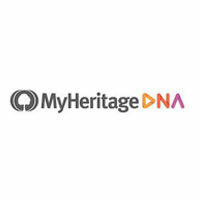 One of the best DNA testing! I followed the recommended diet plan and it helped me lose 15 pounds without any problems. Great service! The support staff was pretty pleasant as well and patient with a ton of my questions. The report cleared all my fears of jewish genetic diseases. Thankyou pathway! I couldn't find any info on how much the shiping will cost me. We found 0 verified Pathway Genomics discounts for April, 2019. There are no Pathway Genomics coupons or discounts right now. 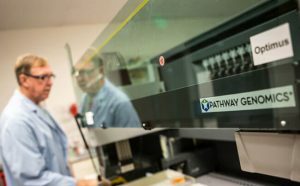 If you want to go beyond our Pathway Genomics review and learn even more about the company and its services, our collection of Pathway Genomics guides offers just the information you are looking for. Browse the articles below to find out all about Pathway Genomics testing accuracy, prices, testing kit, corporate legitimacy, features that set it apart from the competition, and much more. 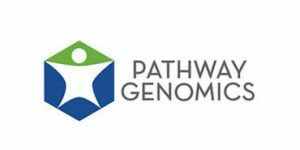 Pathway Genomics Cost - examining the company's pricing policy.